Martin made the announcement on social media Friday before the Loons were to host a Pride Night at home against Dallas. 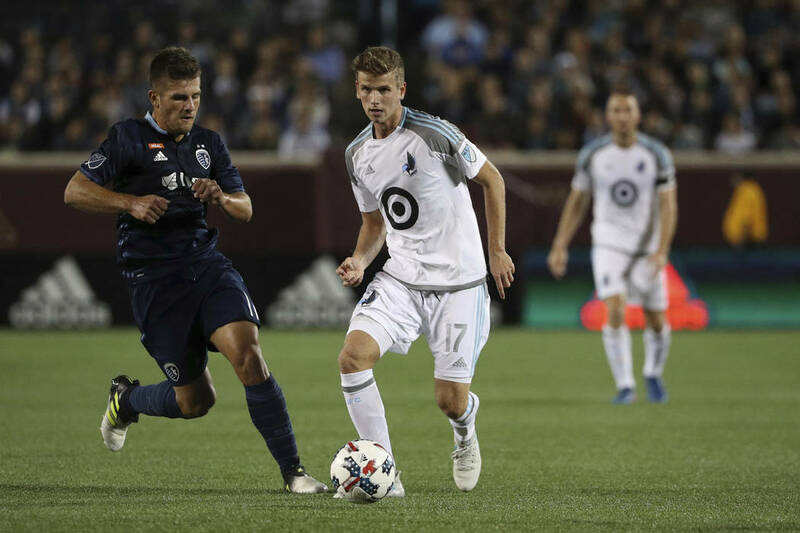 MINNEAPOLIS — Minnesota United midfielder Collin Martin announced he is gay, making him the only active male athlete in the major professional sports leagues to come out. The Los Angeles Galaxy’s Robbie Rogers came out in 2013, but retired in November. The NBA’s Jason Collins and the NFL’s Michael Sam also came out, but have retired. Cyd Zeigler, co-founder of the LGBT sports publication Outsports.com, confirmed Martin is the only current out male athlete in the major leagues.